Email is the sharpest tool in the box for building relationships, generating new customers, and increasing sales on your website. Here’s how to get started. Remember in 1998’s You’ve Got Mail when Meg Ryan‘s character waits impatiently for her dial-up internet to connect before typing an email to her virtual pen pal on a simple dialog box? Watch it now and cringe; we’ve come a long way, baby. But while dial-up and AOL instant messaging are stuck in the stone ages of the internet, email isn’t, especially for you website owners out there — and here’s why. Email still has a very real place in society, with more than four billion existing email accounts, a number predicted to rise to more than five and a half billion by 2019. Yep, billion. Even though we tend to dread the sight of an overstuffed inbox, the reality is this: email triumphs as a powerful tool of communication and persuasion for website owners and businesses. And marketers understand this. In fact, 89 percent of marketers say that email is their primary channel for lead generation. This seemingly-archaic medium (which was predicted to decline, btw) is increasingly relevant — unlike screen names or Myspace pages — for website owners looking to build customer relationships and augment sales. Marketers consistently rank email as the single-most-effective tactic for meeting their awareness, acquisition, conversion, and retention goals. They’ve branded it, fittingly, “the workhorse” and prove your marketing budget should include more $$$ allotted for an invested email strategy. And they’re not the only ones waving virtual foam fingers for email practices; 72 percent of consumers say email is their favorite method of communication with companies they do business with; 61 percent say they like to receive promotional emails every week from businesses. But understand this, newbies: you don’t have to be a big shot marketer to create and send campaigns. 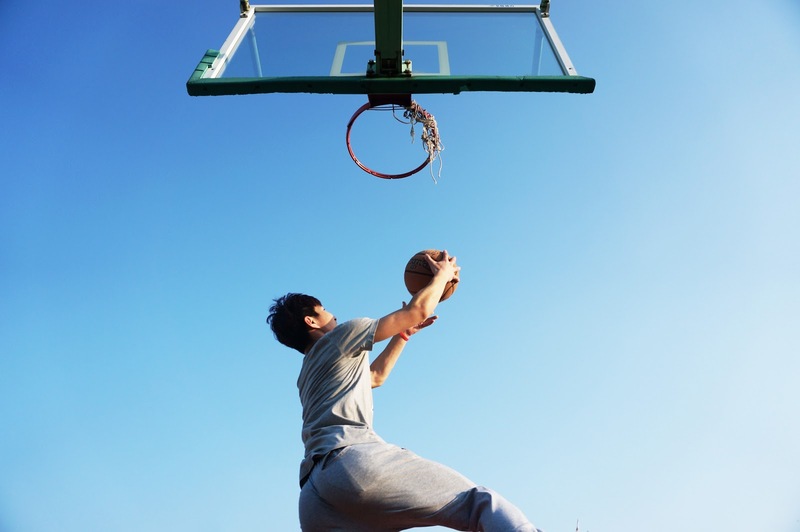 Even beginners can use emails to generate slam-dunk sales or build a loyal blog following. So, what exactly is email marketing? How can you encourage customers to sign up for your emails in the first place? Then, how do you craft sparkling newsletter copy while avoiding the spam folder? Well, you’re in luck. We’ve developed this exhaustive guide for understanding and implementing the fundamentals of email marketing. 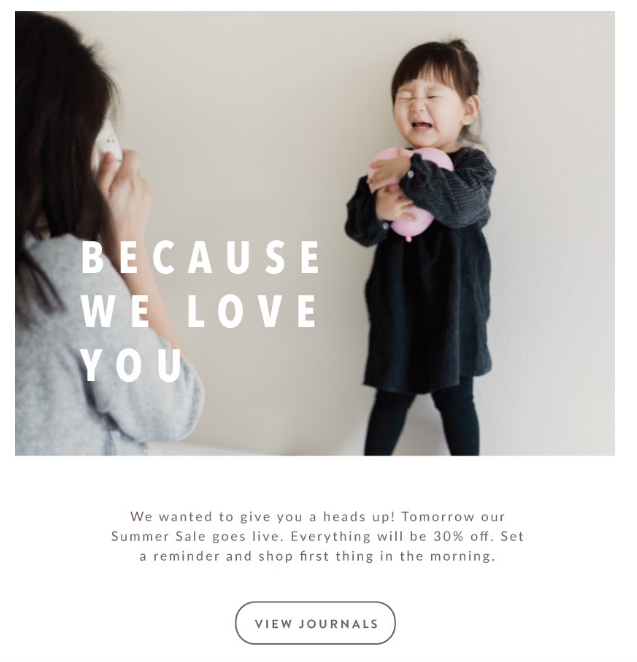 Read on and learn the ins-and-outs of segmentation, automation, sequencing, bounce rates, and how to craft that email your visitors are anxious to open. We promise it’s easier than dial-up. If you’re like 58 percent of adults, after waking up and resisting the urge to hit the snooze button, you’re rolling over groggily to grab your phone. Within seconds, you’re scanning your email inbox before your eyelids have even fully opened. And now, with the increased usage of everything mobile, people are “always on” in terms of their inboxes: whether on commutes, in the bathroom (germy, but true), or in almost every social situation, they’re one micro-click away from checking their email. Email marketing capitalizes on habits like this in a major way. At its most basic, email marketing involves acquiring email addresses of potential customers as a way to share content with them and build business-to-customer relationships. And there’s a reason that this strategy is tried-and-true; it’s a good investment — for every dollar spent, email marketing averages an ROI of $44. Cha-ching! 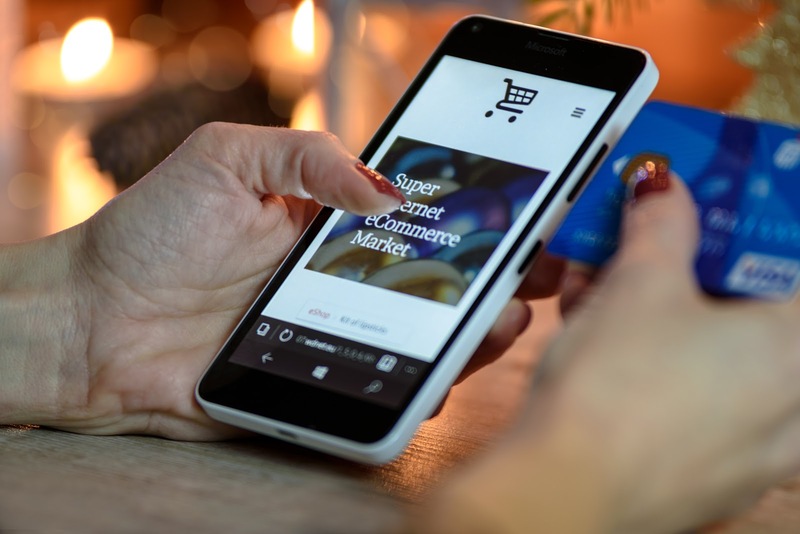 The numbers don’t lie: 66 percent of consumers have made a purchase online as a direct result of an email marketing message. You are six times more likely to get a click-through from an email campaign than you are from a tweet. Bonus: you get more than 140 characters to do it. Ninety percent of email gets delivered to the intended recipient’s inbox, whereas only two percent of your Facebook fans see your posts in their News Feed (they’re probably watching cat videos). Email is 40 times more effective at acquiring new customers than Facebook or Twitter and achieves 174 percent more conversions. More people use email than social platforms. Email is a direct line of communication you have with website visitors that explicitly said they want to hear from you! Some social media platforms cater to specific age groups — and not others (hello, Snapchat). Biting your nails over catering to millennials, baby boomers, or Gen Xers respectively? Email marketing crosses age groups in terms of effectiveness. Email is the preferred means of business communications across all age groups. Once you have their email address, you can continue to market to your subscribers for mere pennies (unless they unsubscribe). A budget-friendly marketing gift that keeps on giving! Consider a basketball analogy: email marketing is like shooting a layup, versus a shot from half-court . . . blindfolded. One is targeted and direct — an almost guaranteed score — while the other is haphazard hit-or-miss. If you’re a business owner, you’ve probably got a snazzy website up and running. If not, follow this guide to building a WordPress website in five minutes and then rejoin us. All set up? Okay, now it’s time to market your content and products to loyal followers. First, it’s smart to set some goals and make a plan for what you want to accomplish through your email marketing efforts. This will guide the type of messages you sent and how you target your subscribers. Second, you’ll need a reliable Email Service Provider (ESP). This kind of provider is different than your basic Gmail account — an ESP allows you to send messages in bulk. The most popular of these is probably MailChimp, but there are many who offer various features — like security reports, and levels of automation — so do your research choose a service that provides the tools you want and at the price your budget allows. Next: building a list of subscribers. Successful email marketing works like visiting someone’s house: you have to be invited first. Email marketing begins when a potential or current customer gives you their permission to send them emails. Just say “Nooooooo!” to buying email lists or firing off spammy messages to those who haven’t granted you their permission. You want to nurture relationships that lead to sales, not alienate and annoy potential customers. (We’ll address this more in the “Slam That Spam” section below). For your website, you accomplish this with an opt-in form. You’ve probably seen a handful of different versions of these on nearly every web page you visit. A sidebar opt-in widget on food blog How Sweet Eats. 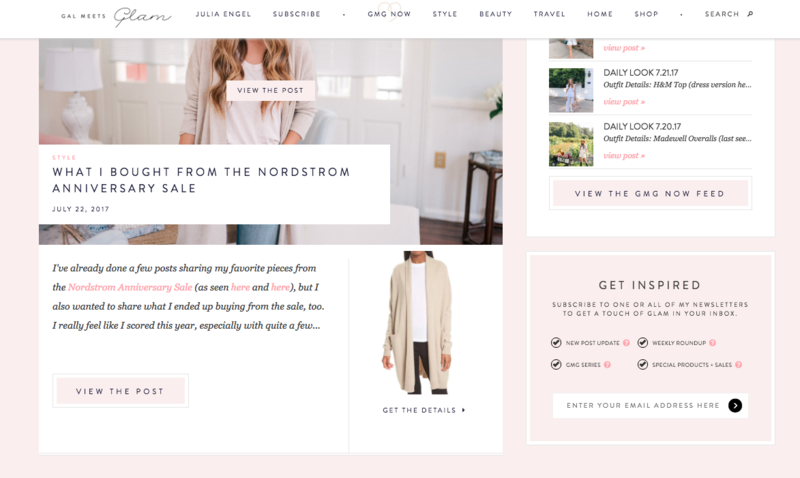 Another sidebar email opt-in form on fashion blog Gal Meets Glam. 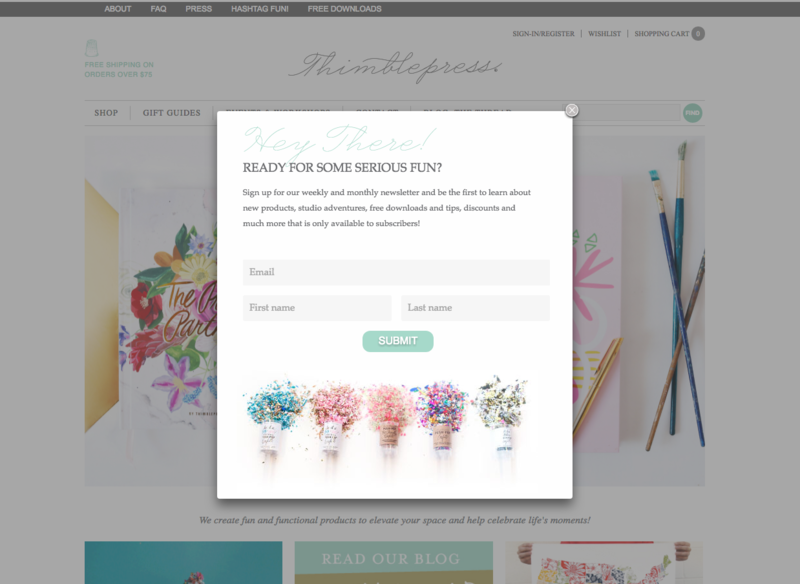 A pop-up email subscription form on craft site Thimblepress. A creative pop-up subscription option from Chronicle Books. Just as there is with crafting your email content itself, there’s an art to creating a winning opt-in message, like incorporating appealing visuals, a persuasive description — that offers subscribers some kind of additional benefit — and a compelling subscribe button (among other things). 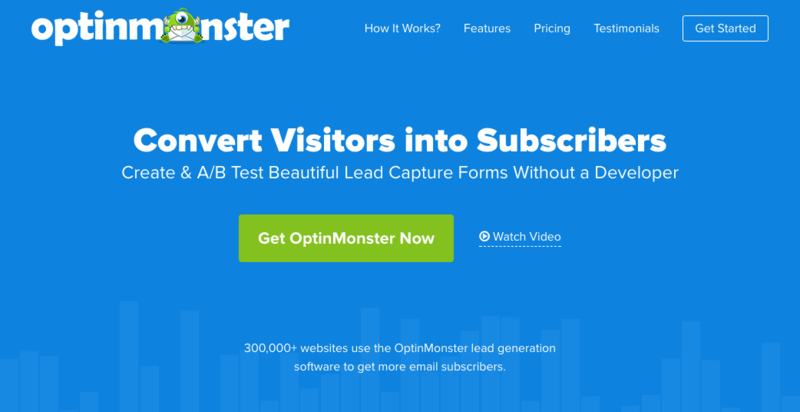 OptinMonster is a simple — and effective — way to set up lead capture forms on WordPress (and other websites and e-commerce sites) that integrate with many ESPs. Easy peasy! So by now, you know that it’s important to grow an email list, but as we explained with our basketball analogy, you want the most targeted, focused shot. To accomplish this, we’ll explore a concept called email segmentation. Emails that are more targeted will help you get the right content to the people who will be most interested in reading it, resulting in higher click-through rates and conversions (not to mention, a decrease in the number of those hitting the ‘unsubscribe’ button or sending your mail to spam). By segmenting, you can vary content, like sending your newsletter or promotional content to the most receptive audience. Location — Having an upcoming event or pop-up sale? Notify subscribers who are local to the area. New Subscribers — Welcome the newbies and let them know how glad you are to have them as a part of your following. Items Remaining in Shopping Cart — Give a call to action to those hesitant or forgetful shoppers. Remind subscribers with yet-to-be-purchased products in their online carts to complete their check-out. Preferences — Segment your emails based on certain type of emails. Some subscribers may only want to be notified about upcoming sales or discounts; others may want news of every just-launched blog post. Open Rate — Call it a “frequent-reader” perk: lavish your engaged subscribers with unique content or premiums. Survey or Quiz Results — Group customers based on how they respond to your prompts for feedback. Those are just a few ideas on the ways you can segment your email list (and there are tons more). The goal of segmentation is personalization; each subscriber is receiving content relevant to them and will, therefore, interact with the content more. Picture it: fewer spam designations, more engagement, more successful email campaigns, more conversions, etc. This can also be accomplished with OptinMonster as it integrates with your ESP. Along with segmentation is sequencing, a tactic in which a series of emails are generated based on set intervals or subscriber behavior-triggered automations. Types of sequences may include series of emails targeted at reactivating disengaged subscribers, encouraging them to attend a local event, or following up on a recent purchase. And it works; after one year of using automation, thirty-two percent of businesses reported increased revenue. A major — repeat, major — part of your email marketing success (AKA increased conversions, killer content, and a growing readership) is understanding — and avoiding — the spam folder. So what is spam exactly? Well, in short, it’s unsolicited messages (meaning, no consent was given to receive them) sent in bulk. While sometimes amusing to read, spam is ultimately annoying to consumers, and no business wants their carefully crafted copy relegated to the black hole abyss of email spam holes. It’s true that consumers are deleting less promotional emails without looking than in years past. But with this, there’s good news and bad news. 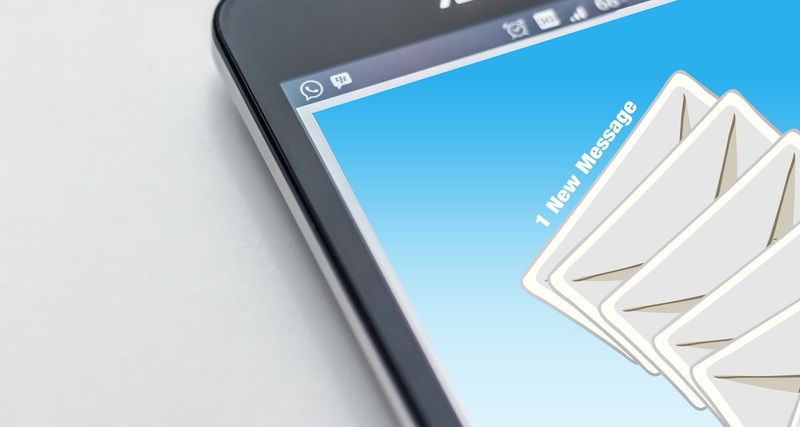 The good: as people are sending fewer email communications to the trash (or spam) bin, it’s a sign that perhaps email marketers are refining their craft so that email messages are more useful to consumers. The bad news: spam filters are better and more aggressive than ever before, so it’s important to take care that your emails don’t lead to a negative brand association. So let’s consider a few (OK, several) roadblocks that can stall you from reaching your consumers’ inboxes. An important key is understanding how the filters work in the first place. While there are many triggers, here are some things they look for. Additionally, spam filters monitor subscriber behavior to improve their filtering formulas, tracking actions like the opening of emails, time spent reading the email, enabling of images, spam flagging, folders applied to email by the subscriber, forwarding of emails, etc. And since these behaviors vary from subscriber to subscriber, a unique “email spam score” is given to each email sent to every individual subscriber. Sounds complicated, but there are things you can do to significantly improve your chances that your message will make it successfully to your subscriber. Spam filters are smart. Some other instant red flags: over-the-top font colors (consumers don’t like this either), font color tags that aren’t formatted correctly, misspellings, overstuffing keywords, and risky word choices (best to avoid “free,” “prize,” “promo,”, “no obligation,” and “buy,”). In addition, be conservative with punctuation and capitalization. Aside from the resulting in red-flagging, it’s just . . . ANNOYING!!!!! See? We told you so. Lastly, don’t play dirty. Attempting to outsmart spam filters (like inserting random characters and numbers into your content or subject lines or concealing text in an image) or tricking your subscribers by starting the subject line with “Re:” or “Fwd:” to suggest an ongoing communication with you just eats away at your credibility. Instead, put your efforts into building a quality email list and sending out content that customers want to see pop up in their inbox. The permission-based approach is best. 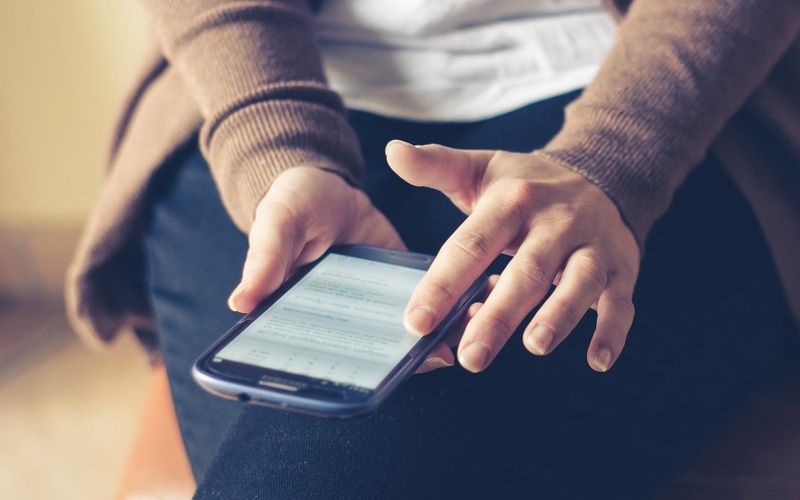 Make sure that the recipients of your messages have provided explicit consent to receive your communications through a sign-up or opt-in form. Encourage them to add your email to their address book. 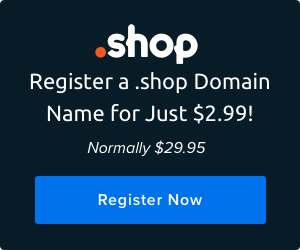 Resist the temptation to purchase an email list or scrape sites for addresses. This is often your message’s one-way ticket to the spam folder. Build your list ethically. Relying solely on a third-party platform to build your brand makes cultivating an email list so much harder. Here’s how to own your online presence with a website. No one wants a dwindling email list, but the reality is this: 50 percent of consumers branded a company’s email as spam because they couldn’t easily figure out how to unsubscribe to the messages. Make it easy for your subscribers to part ways; it’ll save you the spam label and leave you with the most invested subscribers — plus, it’s the law! You know the rule for creating content on your website: be consistent. This make-it-or-break-it principle is critical for your email communications, too. If your blog channels a friendly-neighbor tone, you should have an email voice to match. Keep your messaging consistent so you don’t give your readers branding whiplash. Secondly, honor your subscribers’ time. As it has been aptly said, minutes of your customers’ time are like dog years on the internet — woof. Our digital diets are only programmed for rapid-fire “tastes” of virtual content, so your subscribers time reading your content should be well-spent. Honor their minutes by making your emails worth reading. Or email, meet trash bin. Also, understand that you really only have a few seconds to grab their attention in the first place. Research shows that most people have a group of “trusted advisers” from whom they will almost always open emails — secure this spot and your customers’ attention is yours. Don’t fall into the content trap. Here are six common mistakes to avoid. In addition to checking your domain name for blacklisting, you should use an ESP that’s reputable. Need help choosing the right provider? Check here. You could also consider getting third-party accreditation, which can help deliverability. More than just staying clear of boring or unrelated content, you need to be aware of the rules surrounding email marketing and how your content could potentially be violating established spam laws. With most — if not all — email providers, you will need to verify that you are abiding by the law. CAN-SPAM Act applies to “any electronic mail message the primary purpose of which is the commercial advertisement or promotion of a commercial product or service.” Simply put, all email must comply. Each email in violation can incur a fee upwards of $40,000! Gulp. Here are the must-dos and don’t-even-think-about-its for staying on the right side of the law. Your “From,” “To,” “Reply-To,” routing info (the domain name and email address), and subject line must all accurately reflect the correct information, including the business the message is originating from and the content of the message. Be truthful and clear. You must communicate clearly and visibly that your message is an advertisement. In your email, you must include the physical address of your business (whether that be a street address, P.O. box, or private mailbox you’ve registered under Postal Service regulations). It’s not just a good idea to have an easy unsubscribe method. Letting your subscribers know, in a clear and conspicuous way, how to opt-out of future messages is the law. You must give subscribers the choice to stop emails, and you must explain how (by using a clear, contrasting font to distinguish it on your email, by giving a return address to reply to — which should be a human reply-to address — or providing another internet-based way). Additionally, make certain that your own spam filter does not block opt-requests from subscribers. Another element of the law is honoring these requests swiftly (within 10 business days) and not requiring additional demands from the subscriber, like fees, personal information, or other actions besides visiting a single page or sending a reply email. You cannot transfer or sell the former subscriber’s email address. Chances are, that if you’re reading this, you’re working on improving (or starting) your business’ email marketing strategy. 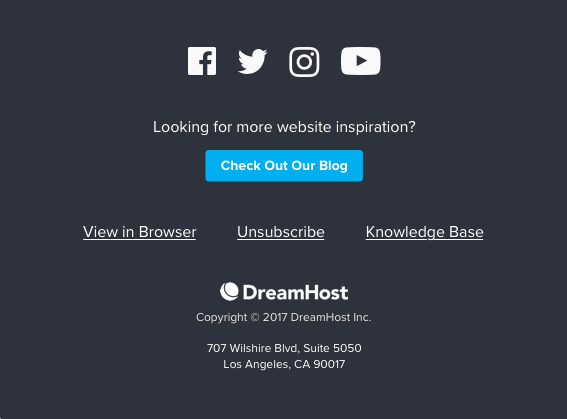 But, on the off chance that you’re merely reading this for fun (totally understandable here at DreamHost) and you’ve hired someone else to manage your email marketing, understand that you still possess the legal responsibility to comply with the law. Even if it’s just your product promoted in the email messages, you could be held legally responsible for violations. You can read up on more details here. It’s important to stay connected with your subscribers and keep your email list as up-to-date as possible, as email addresses change often. Hey, that young professional doesn’t want to use starwarslover6785@aol.com address forever. A stale list can lead to too many hard bounces (emails rejected for permanent reasons like invalid or inoperable email addresses) and raise your spam score. Sure, your subscribers might not like a lengthy email every day, but sending out a rare email every few months could hurt. When your messages do show up, your readers might not recognize the “From:” designation and send you straight to spam or delete your message quickly, damaging your stats and credibility. Research shows that open rates are highest when companies send three to four emails per month. If your email content is too large, it could result in a soft bounce, a temporary delivery issue that signifies that your content got as far as your subscriber’s mail server but was then bounced back. Reasons for soft bounces may also include full inboxes or an offline server. The email provider you use should attempt to resend your email over a period of days, but be on the lookout for repeat bounces and remove them from your list. 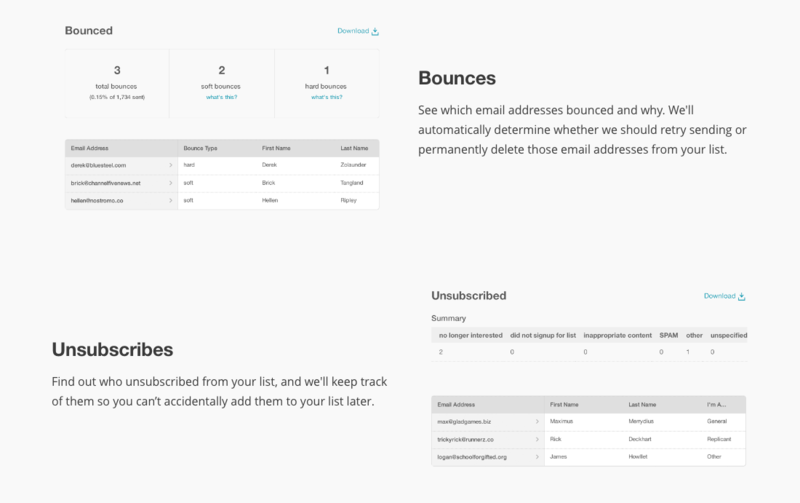 (Read more about bounce rates in the Metrics section below). Videos, embedded forms, and attachments aren’t smart things to include in your email messages. Forms and videos often aren’t supported for security and compatibility reasons. Plus, there’s mobile to think about (more than that later). If you have an additional PDF or worksheet you want to share, upload it your site and provide a link in the email you send out. Lastly, it’s smart to use a service like IsNotSpam.com to test your email for possible spam triggers. And for the record, we’re web hosting experts, so talk with a legit attorney if you really want to get into the minutiae of spam law. Do you really need that little copyright symbol on your website? We asked, legal experts answered. It’s time to decide the type of content you want to send out. A good tip is to analyze your email reports and website analytics to see what content did best — and get writing more of that. Here are some email communication best practices that will earn you more opens, more engagement, and more satisfied subscribers. We know: this isn’t seventh-grade English, but it’s important to put in the work to make sure your content is error-free and professional. You want your subscribers to trust you and keep returning to read. Get a second pair of eyes and use an editing checklist to help you spot mistakes. Nothing turns off a subscriber more than a misplaced comma or spelling error. Can you say amatuer amateur? While you still need to be professional, it’s also important to write conversationally and not like a robot. Add personal touches that help show your personality and approachability. Also, use the word “you.” Turns out, it’s pretty convincing. The emails from Promptly Journals make you feel like a VIP, not just a subscriber. There are a lot of companies out there who are doing email marketing well. Here are a few. Learn from the best and adapt your content to adhere to winning principles and make your emails — dare we say it — fun to read! If your subscribers wanted to slog through dense copy, they’d read a textbook. Remember, they’re “snacking,” so avoid clutter and make it easy for them to find what they’re looking for with text breakups, visual cues, and a clean design. Want good design ideas? Look no further than a galaxy far, far away. Just like a good story needs a good ending, don’t leave your email with a blah finish. Give a clear call-to-action prompt that engages your subscriber to do more. I mean, that’s why you’re sending the email in the first place, right? Personalize, personalize, personalize. The more you can make your message seem tailored to each subscriber, the more they’ll keep reading — and buying. Rise above clickbait. Readers will quickly ditch if promises are left unfulfilled. Take it easy on punctuation and caps, OKAY?!?!?! Offer hints at what’s inside — discount, you say? I’m enticed. Bonus points if you can make the reader feel part of an exclusive club or create a sense of urgency to act. 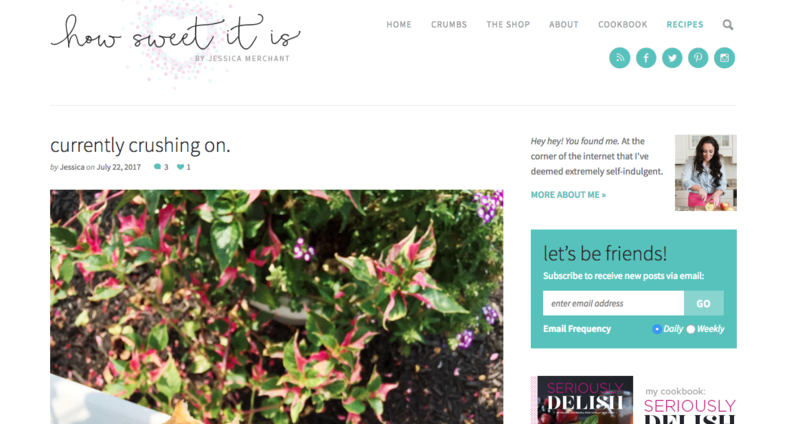 Follow an enticing subhead line with a complimentary preheader. If the two play well together, you’ll have committed subscribers that anxiously await your messages. You’re already aware that your website needs to be geared toward mobile users — the same goes for your emails. Because mobile open rates reached 68 percent in 2016! Many consumers are now reading email exclusively on mobile devices and are pretty picky about how your messages look on their devices: more than eighty percent of people reported that they will delete an email if it looks wonky on their phones. Yikes. 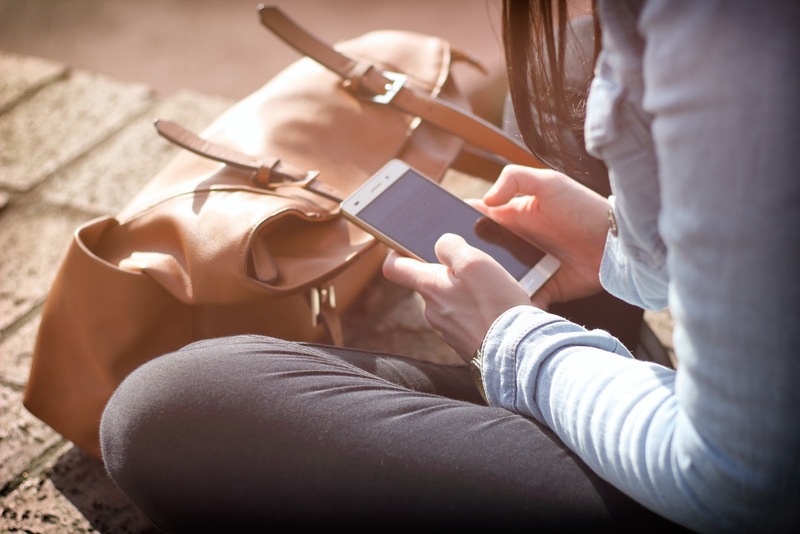 You know the principles of optimizing your site; here’s how to optimize your messages for mobile. Be Conscious of the Length of Your Subject Line — Too long and it will get cut off on a mobile screen. Resize Your Images — Make sure images and text are balanced in relation to each other. Make Sure Your Links are Mobile — Verify that the pages you link to are also mobile-friendly so subscribers can successfully answer your call to action. Create a Browser Version — Offer a browser version of the email so readers can open it outside of their email client. Do a Practice Run — One of the best ways to assure that all content is ready to hit your subscribers’ inboxes is to send yourself a test email. Check all links, images, and subject lines in your own personal inbox. Ten years ago, the iPhone transformed how we browse, shop, and behave. Here’s why a mobile-friendly site is a must for small-biz owners. You’ve crafted your winning email and sent it out into the interwebs: now what? How can you judge the success or failure of your email marketing campaign? What should you look for? Just like any marketing effort, it’s important to analyze your results and improve any needed efforts, but what metrics are most important? Here is a quick-guide glossary of metrics you should keep an eye on, in coordination with your personal goals. As we mentioned before, bounce rate (both hard and soft) indicate the percentage of total emails that were undeliverable — permanently or temporarily — measured by the total number of bounced emails divided by the number of emails sent. Sometimes this is a server issue, sometimes it’s a spam issue. This number — the rate at which people remove themselves from your email list — is a good correction tool; it can help you know which emails were causing subscribers to ditch your list, and correct those issues in future communications. The percentage of email subscribers who open a given email. But this can sometimes be misleading, as an “open” is counting as a subscriber who receives the images embedded in a particular message. But it can clue you into what subject lines are most effective, which days your emails are opened, and the average percentage of your email list that is responding to your messages. The numbers of times links in your message are clicked on. This is important for understanding your subscribers’ level of engagement and how they are interacting with you — and acting on your invitations to buy, visit, or give feedback. A timeline of engagement with your emails; this stat can assist you in planning when is the best time to send campaigns. Not all email marketing service providers will provide you this number, but it’s worth thinking about if you can get your hands on it. Before you hit send, it can indicate the likelihood of your message getting slammed by spam filters. A Spam Complaint metric can also be used to correct past errors that caused your subscribers to designate a certain message as spam. Based on these numbers, you can adjust your content format. It might also be important to keep track of email client data; with this, you can see how successfully or unsuccessfully messages might be appearing on different client types. Also, encourage your subscribers to give you feedback so that you can learn and improve your communications the next time around. Lastly, here are some tools that can help you keep track (if your service provider doesn’t already), and benchmarks that help you see how you stack up in your industry. Take a breath. Email overload, we get it. You can always bookmark this guide and refer back to it when you’re ready to take the next step in improving your communications with subscribers. And in case you scrolled all the way down here looking for the TL;DR, we’ve got you covered. Here are the key takeaways for starting your own email marketing program. Test, Test, Test — Whether it be to spot spelling mistakes or check for possible spam triggers, test your emails before you send them. It’s an investment worth the extra few minutes. Keep Your Email List Healthy — A fresh list will help you avoid a lot of issues, including spam and legal concerns, not to mention depressing analytics. Consider running a re-engagement campaign every six months or so to maintain your list. Be Consistent — Not only in the type of content you share but the frequency in which you send it. Your subscribers will come to know — and trust — you and anticipate your messages. Focus on Quality — Spend time on both the writing and design of your emails. These elements will not only increase your stats but help build solid relationships with subscribers. Add a Call-to-Action Button — Make that CTA easy to find and use. 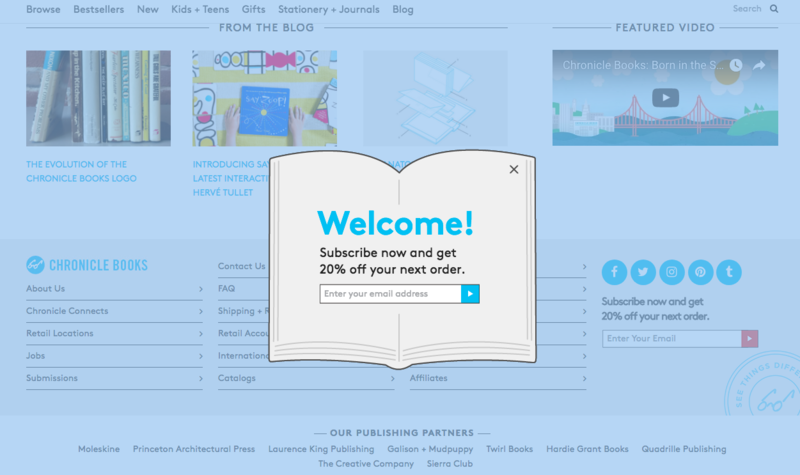 You want to turn those readers into customers! 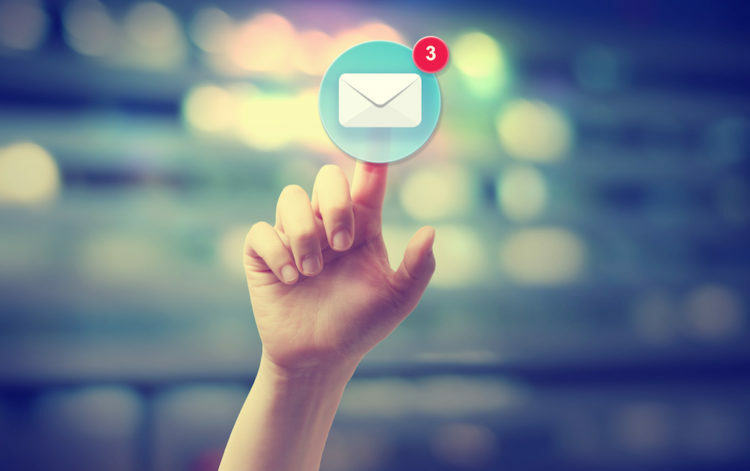 Make It Personal — Send segmented messages to get the most relevant content to each subscriber. Personalized email subject lines are 22 percent more likely to be opened. Now, back to that inbox. 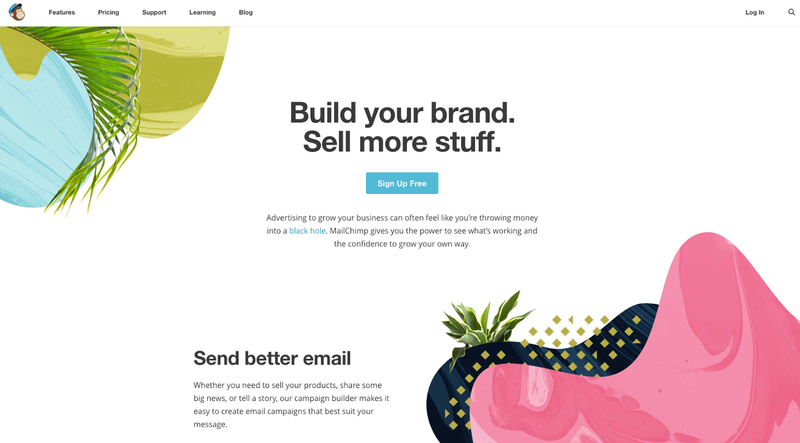 Make your website as awesome as your email campaigns. DreamHost offers award-winning hosting for websites of all sizes. How have these email best practices gained you more subscribers or sales? What’s helped you successfully stay out of spam folders? Forward us your ideas (see what we did there?) and join the DreamHost community!